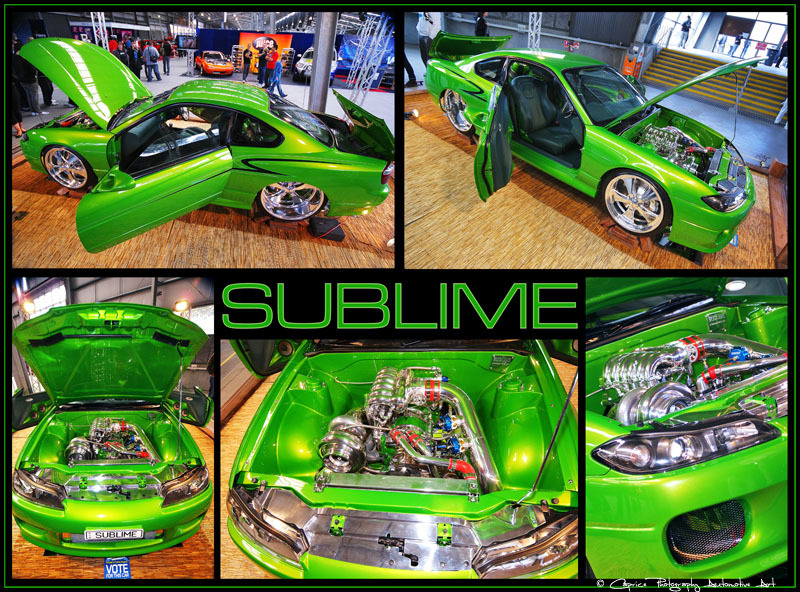 This beautifully created custom ride is known as “Sublime” and is based around an S15 Nissan 200SX. In the fully fabricated engine bay sits a Mazda 20B rotary with a massive GT47R turbo charger which should give this green machine an impressive 700 to 750 HP at the rear wheels (Not yet dyno tested). A Supra r154 manual box was considered the best choice for helping to unleash all this horsepower to the rear wheels. The custom touches don’t finish at the immaculately presented interior or wild suicide doors, it also has a ¾ chassis and sheet metal finished undercarriage topped off with huge custom billet wheels! Costing less than 90K to build and taking only 3 years to complete, I think you’ll agree that full credit must go to the owner and builder of this immaculate import and we look forward to seeing the stats sheet in the future.